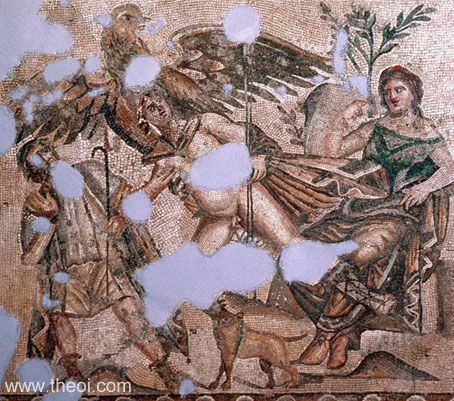 The young hunter Ganymedes is seized by the eagle of Zeus or Zeus himself in the guise of an eagle. A rustic holding a shepherd's crock stands on the left and a woman is seated to the left. The woman is perhaps the goddess Aphrodite and the shrub sprouting behind her a myrtle.